When people started dying around them, often after a very short period of illness and with hideous blisters on their bodies, people of course started searching for an explanation. And while we, in our “enlightened”* times may have started to think about viruses, bacteria, exposure to something lethal and most likely a variety of other theories, none of the above alternatives was what crossed the minds of the victims of the Great Mortality, or those who were left behind. There had to be dark and sinister forces behind the outbreak, of maybe God had just had enough with the sinful living of humans. Or maybe there was even a particular group of people behind all this. Another theory was bad smells, or that the humours of the body was out of balance. The idea that the body consisted of different humours – four to be exact – is primarily attributed to Hippocrates, but exist within other philosophies as well, such as Ayurveda for example. But back to the point: according to Hippocrates the human body consisted of four humours: phlegm, yellow bile, black bile and blood. It was believed that when there was an imbalance between these, disease would strike. This was normally kept in check by bloodletting and cupping (placing warm cups on the body to draw out bad humours). But for the Great Mortality no amount of balancing of the humours would help, and other explanations needed to be found. Apart from being a punishment by God, the blame on the European mainland was also cast on the Jewish community where they for example were accused of poisoning the wells. 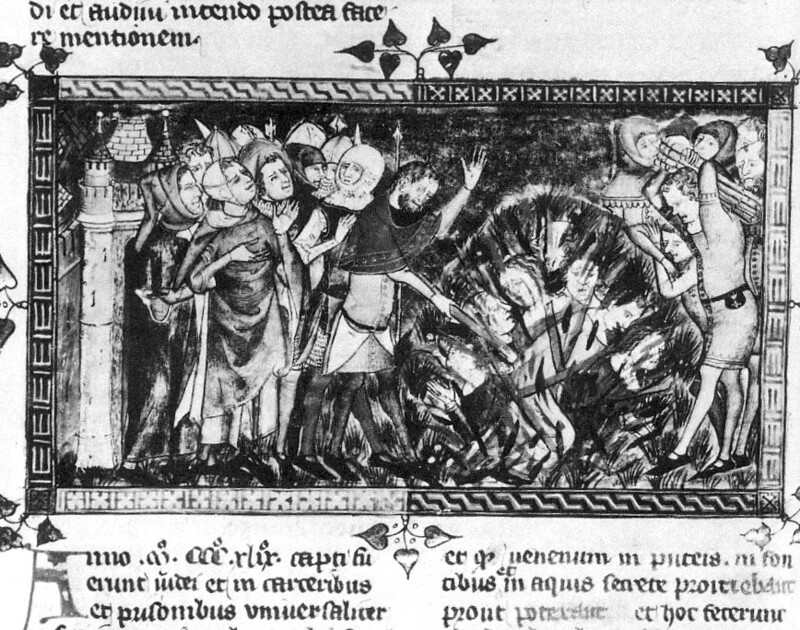 A couple of reasons the Jewish communities were blamed – other than on the misconceptions, xenophobia, anti-Semitism and superstition that has made them the target of hate throughout history – was that hygiene according to religious law was better in the Jewish communities as well as the ghettos in which they were required to live were slightly isolated from the crammed cities where the plague ran amok. It is also suggested that the occurrence of alcoholism and venereal disease – which would weaken the immune system – was less in the Jewish community than in the community as a whole. This resulted in horrid pogroms and outright massacres in a number of European cities. In England, however, the Jews had been expelled in 1290 by Edward I, and no such pogroms occurred. 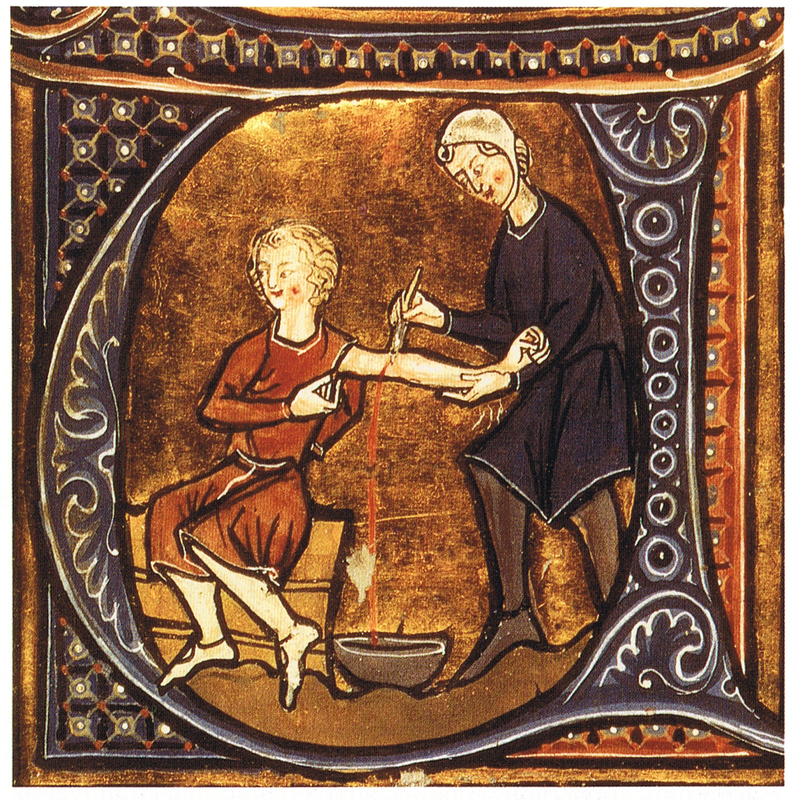 Medieval medicine did leave a lot to wish for, but attempts to cure the victims was made. Apart from blood letting, one used remedy was vinegar and rose water. This wasn´t to drink, however, but the one who had fallen ill should be put to bed and washed with the water. Another presumed cure was lancing the buboes, that is the blisters which are associated with The Great Mortality. After so had been done, the wound should be filled with a mix of tree resin, roots of white lilies and dried human excrement. One can only imagine what at least the latter would do to an open wound. Even then the idea existed that maybe the diet could influence the health. 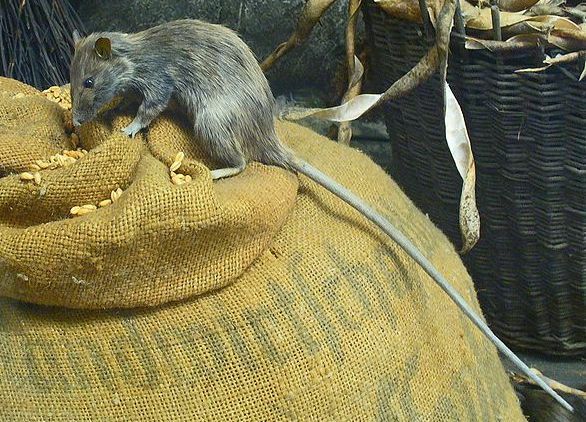 But even so, there isn´t much reason to suspect that eating fruit, vegetables and bread instead of food that would easily go foul, such as meat fish and cheese, would do much to alleviate the plague. One that actually would make sense in a avoiding a lot of other diseases was the idea of sanitation, to keep the streets in the overcrowded cities free from human and animal excrements and instead carting them out of the city to be burned in a field. Then there of course was the “pestilence medicine”: roast the shells of freshly laid eggs, grind them up into a fine powder and mix them with the petals of marigold flowers. Blend it into a good ale, add treacle, warm over a fire and drink. If all this should fail, there was always witchcraft as a last resort. A live hen should be placed next to any swelling on the body to draw out the pestilence from the body. To aid the recovery, two glasses of one´s own urine should be drunk every day. Not cures that will kill you in their own right maybe, but they wouldn´t have cured anyone either. 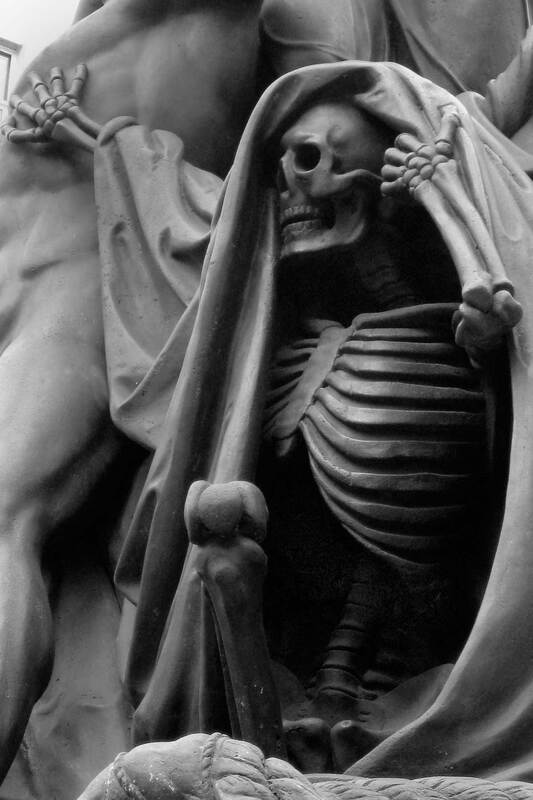 After 1350, England was hit another six times by the Great Mortality. *That I put enlightened between quotation marks is because while I was writing, I realised that there is quite possible to hear the same unscientific explanations to disasters or outbreaks of epidemics even now; government conspiracies, global conspiracies masterminded by some group or, in some cases, the wrath of God is still given as an explanation even in our own time. Apparently mankind isn´t always that different to how we were 700 years ago. Sources: Descriptions of blood and blood disorders before the advent of laboratory studies – GD Hart/British Journal of Haematology, 2001. “Cures for the Black Death”. HistoryLearningSite.co.uk. 2014. Web. Hello my friend! I want to say that this post is awesome, great written and include almost all vital infos. I’d like to see extra posts like this.